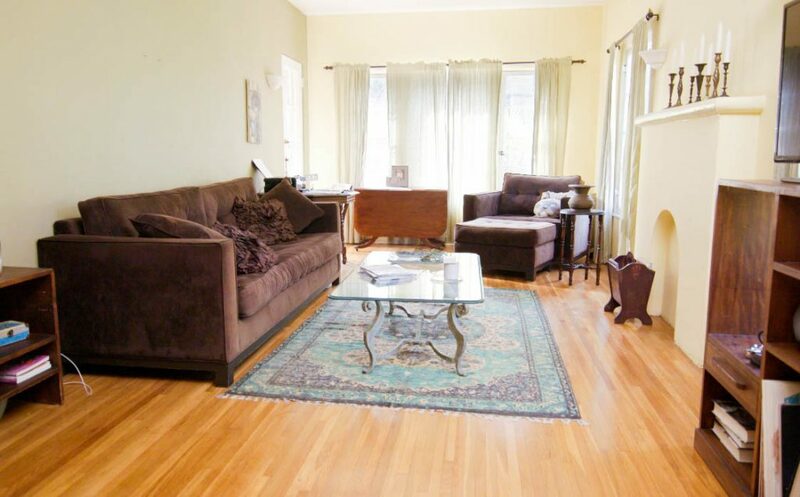 Bold Living Room Color Change Made Easy! 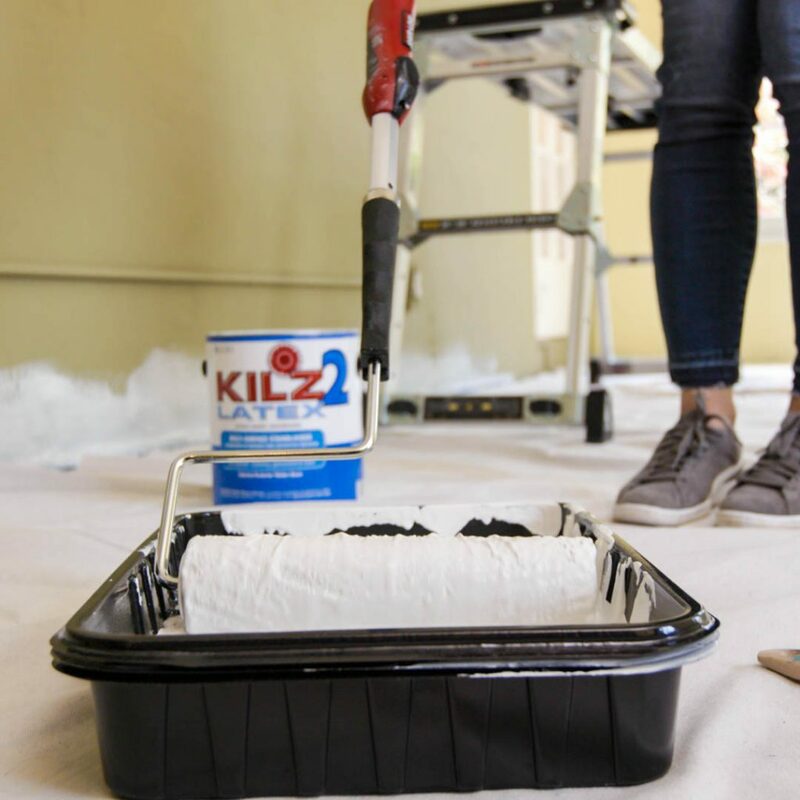 The first order of business is updating the room’s wall color, beginning with a coat of KILZ 2® Latex Primer, which blocks stains, resists mildew and hides the old, outdated color. This step essentially returns the walls to a neutral white color—the perfect canvas for whatever color comes next. 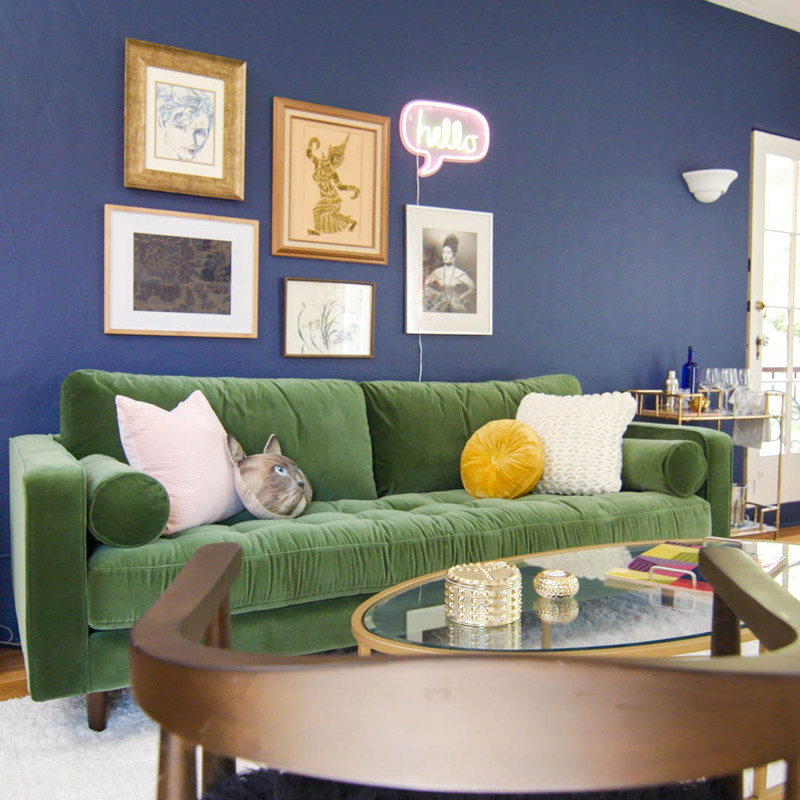 In this case, we’ve chosen one of the season’s most popular paints and colors: KILZ TRIBUTE® in a deep, rich blue color called Harbor Town (TB-49). To contrast, we created an accent wall with a complementary neutral—KILZ TRIBUTE in Champagne White (TB-06). 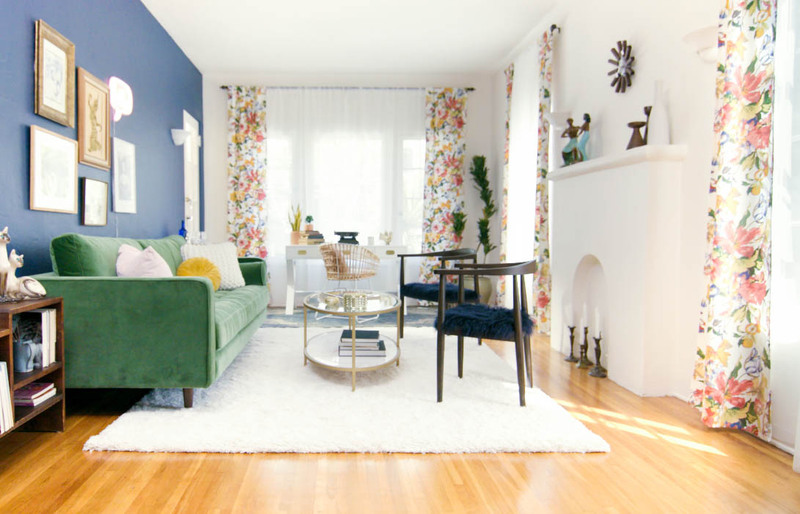 Add some additional color punch with some wild, graphic patterns on curtains or linens and suddenly your barely breathing living room is a fun, inviting space perfect for everything from entertaining to recharging your own batteries at the end of a long day.